Ashton Martini, a top-ranked real estate veteran who has served the greater Houston area exclusively for the last 18 years, is known for his dedication to customer service, market knowledge, negotiation skills and commitment to meeting and exceeding his clients real estate goals. Martini is a member of the Houston Association of Realtors, where he has served as a member of its Big E Advisory Committee and Communications Advisory Board. 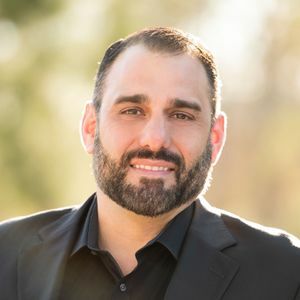 He is a Certified Negotiation Expert, an Accredited Luxury Home Specialist and served as a member of the NextGen Realtor Group Advisory Board and Italian Cultural & Community Center. Among his awards and honors, he received the NRG 20 Under 40 award in 2013. Real Trends consistently recognizes him as one of the top 250 agents in Texas and ranked 42 state wide in 2017. He has been awarded the Houston Business Journal top 25 luxury agents and the top 25 agents by dollar volume. Martini founded a MS150 team to raise funds needed to help find a cure for Multiple Sclerosis. He and his team raised over $100,000 over two years. In 2015 he ran his first marathon while raising money for the Alzheimer's Association. Martini is also devoted to Friends for Life, a no-kill animal adoption and rescue organization. He donates a portion of each commission to charity.